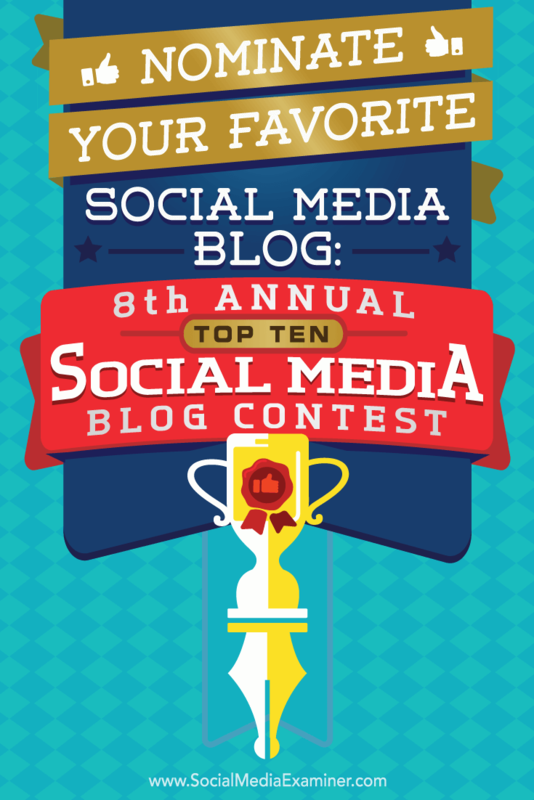 We’re now accepting nominations for our 8th annual Top 10 Social Media Blogs contest, and we’re looking for the blogs you’ve read and found most valuable in 2016. 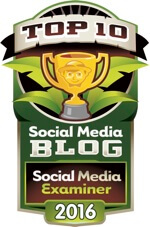 This is the biggest contest for social media blogs and the winners will be promoted in our 550,000-reader newsletter and announced on Social Media Examiner. Please comment below to nominate a single social media blog (other than your own, or that of your employer); only your first nomination will be considered. Be sure to include a link to the blog and tell us why you like it. 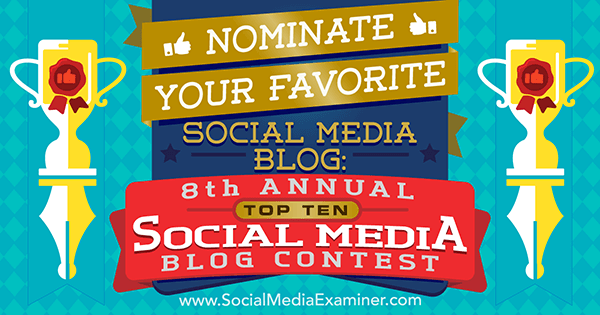 Nominate Your Favorite Social Media Blog: 8th Annual Top 10 Social Media Blog Contest by Lisa D. Jenkins on Social Media Examiner. Please note: comments with links automatically go into moderation for review and will be posted within one day. To be considered, a blog must be nominated by two different people no later than January 1, 2017, and judges’ blogs are not eligible. Our judges include Heidi Cohen (chief content officer of Actionable Marketing Guide), Marcus Sheridan (founder of The Sales Lion), and Sonia Simone (founding partner and chief content officer of Copyblogger). 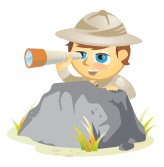 Winners will be selected based on the quality of their content, frequency of their posts, reader involvement, and their blog’s ranking (in that order). The winners will be announced here and in our newsletter in February. Click here to see our 2016 Top 10 Social Media Blog contest winners. Go ahead and enter your nomination right now in the comments below, and be sure to let your friends know about this contest.